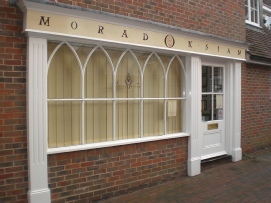 Moradok Siam is based in Romsey, Hampshire and our salon offers an island of Thai tranquillity in a busy modern world. We offer traditional Thai massage in a peaceful and relaxing modern salon, set in a beautiful and historic building. Moradok Siam is a friendly family business and we have been successfully looking after our customers for over eleven years. Thai massage uses ancient techniques for the treatment of muscular aches and pains, toning and for pure physical and mental relaxation. 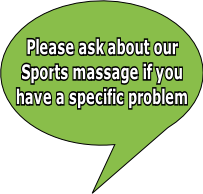 Thai massage is an excellent way of coping with the stresses of life and helps to reduce the associated symptoms: headaches, sleep problems and anxiety. It is also fantastic for promoting positive feelings of calmness, contentment and well-being. Dedicated to making you feel welcome. Please pop in or phone for an appointment! Moradok Siam offers Full Body, Sport, Foot and Lower Leg, Head, Neck and Shoulders massages. We also offer Herbal Massage, Thai Head Massage, Acupressure and Body Scrubs. We also sell Gift Vouchers if you wish to give someone special a gift they will never forget. As a growing business, we are looking for new, qualified Thai massage practitioners. We offer good rates of pay and opportunities for further training. If you are interested in joining our team, please call the salon to arrange an interview.